It's not a product from the current hockey season... but it's close! 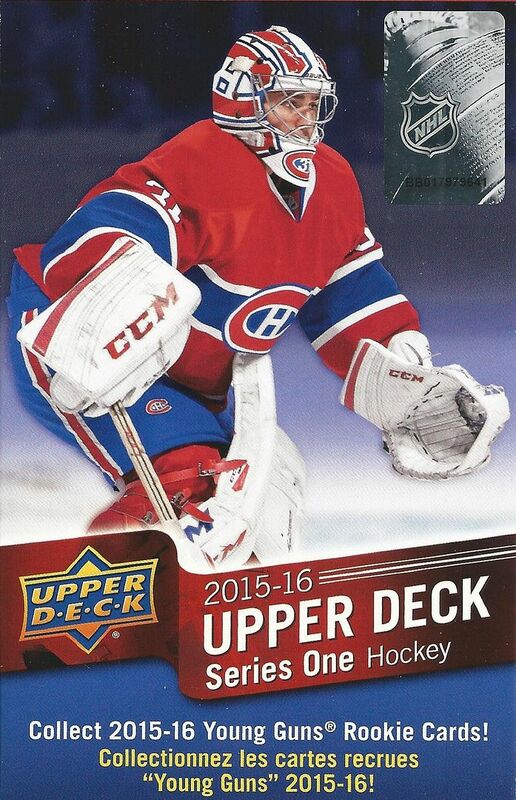 This morning I'm going to open up a blaster of 15/16 Upper Deck Series One. These blasters are a bit more expensive than the usual budget ones that I get for Retail Review, but still were on a little bit of a discount than the standard twenty dollar price tag. I'm so excited to open up something that is relatively newer! As with all Upper Deck Series One products, I'm expecting to get some very nice looking hockey cards out of this blaster. 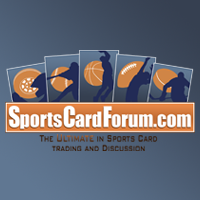 I should find cards that feature really nice photographs as well as a couple Young Gun rookie cards. There probably won't be a hit in this blaster, there at last there's a chance at one. A hit is not exactly the biggest draw out of this particular year's blaster. It's actually Connor McDavid's Young Gun, which fetches quite the pretty penny on sites like eBay. Probably a very slim chance to get one, but still, there are two Young Guns per blaster so the opportunity is definitely there. Sadly, no McDavid out of this blaster, but I wasn't really expecting him to pop out. I did get some solid cards from this blaster though. There were a slew of inserts to check out amongst the base cards. I thought it was pretty funny to pull a regular and variation of the same Shining Stars insert set out of this box. There wasn't anything that was extremely nice from these packs. I'd say a pretty average break for a blaster like this. Yay! 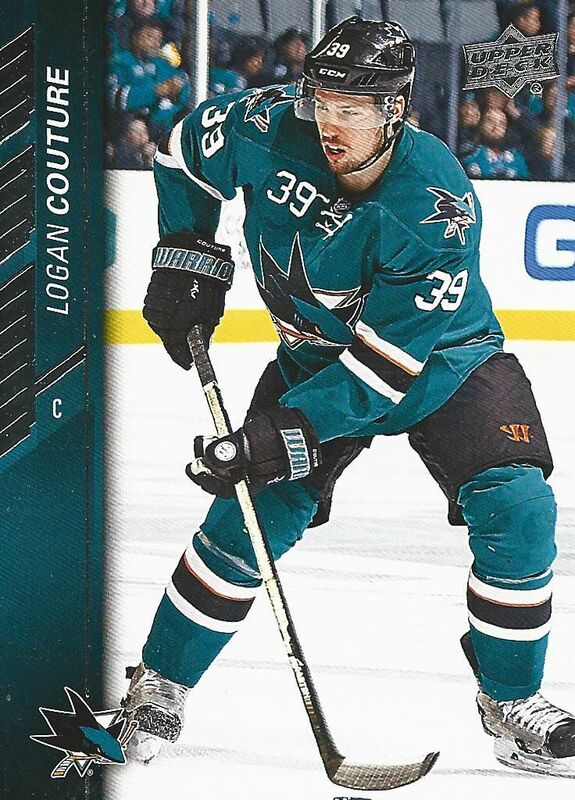 It's my man Couture in my blaster. Being my main PC, I just had to include him in my top three. He's having a decent season thus far, but I'm looking for even more from him as this year goes on. Marchand is an interesting player. He's a guy that I think people would want on their team, but dread playing against. 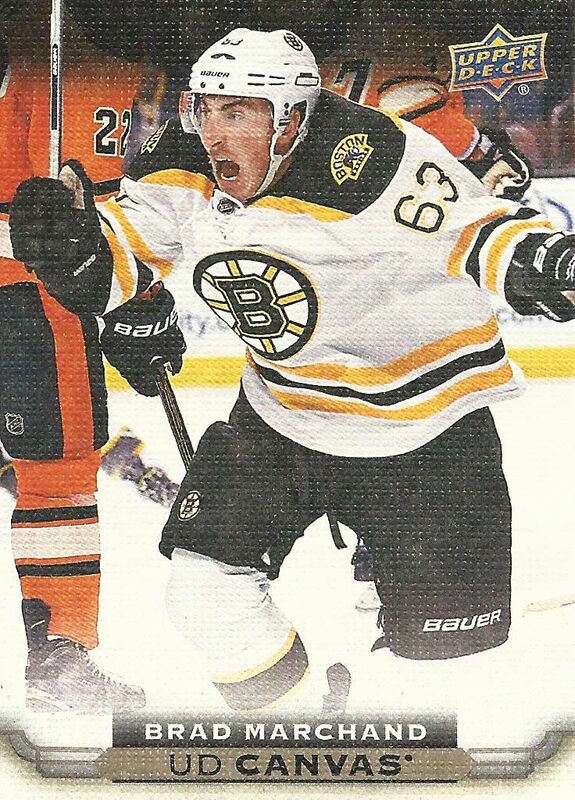 I like this card in particular because it captures some serious emotions coming out of Marchand in this shot. 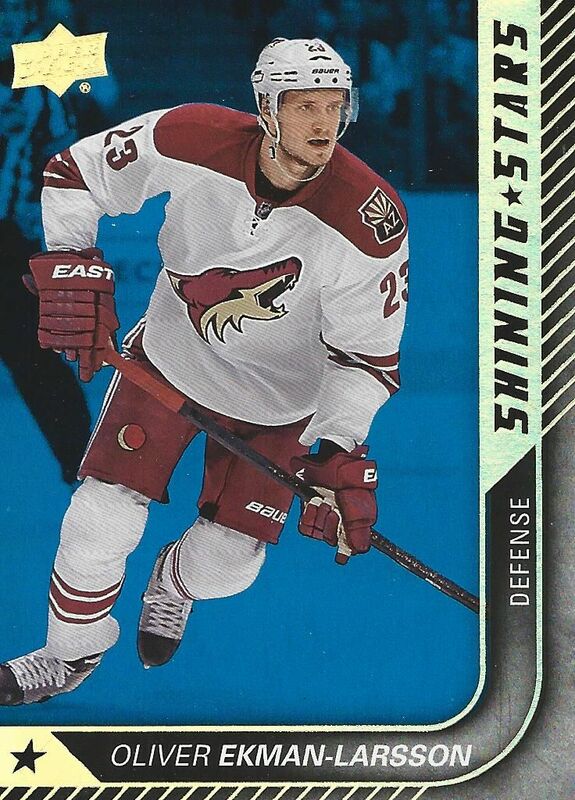 I got both the standard and blue parallel version of Oliver Ekman-Larsson's Shining-Stars insert card. The blue version look much better than the regular card. I think it was great to be able to get this blaster for under its original selling price. This year's set has Connon McDavid, and if he continues tearing it up in the NHL I can only see these blasters going up. 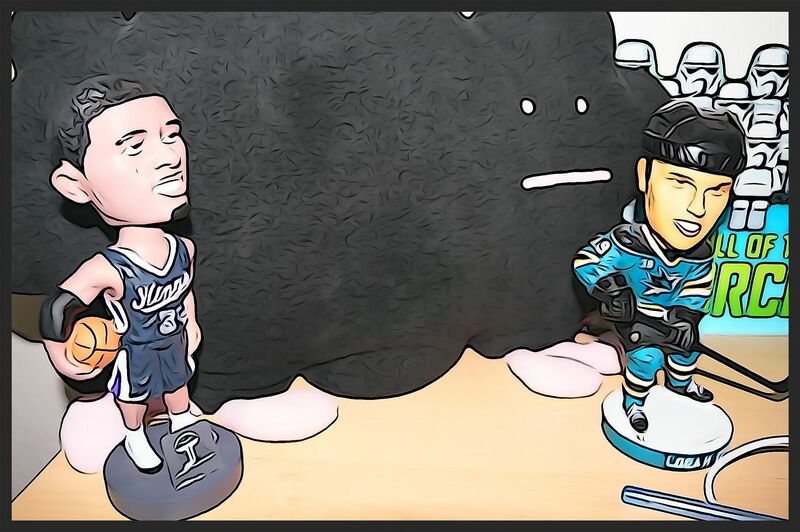 I'd definitely purchase these to try to get my hands on a McDavid Young Gun. 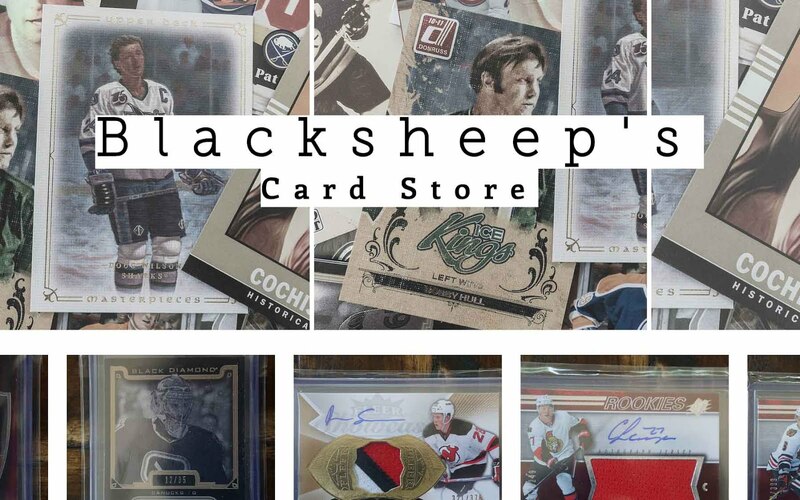 Besides that card, there are plenty of nice cards to get and look at when buying Upper Deck Series One. Like I say... it's always a solid choice to buy!